Get banking and financial advice, right here while you shop. Stop by our branch across from Whole Foods Market®, where you can talk to a banker or use our full-service ATM to make deposits, withdrawals or transfers, 24 hours a day. 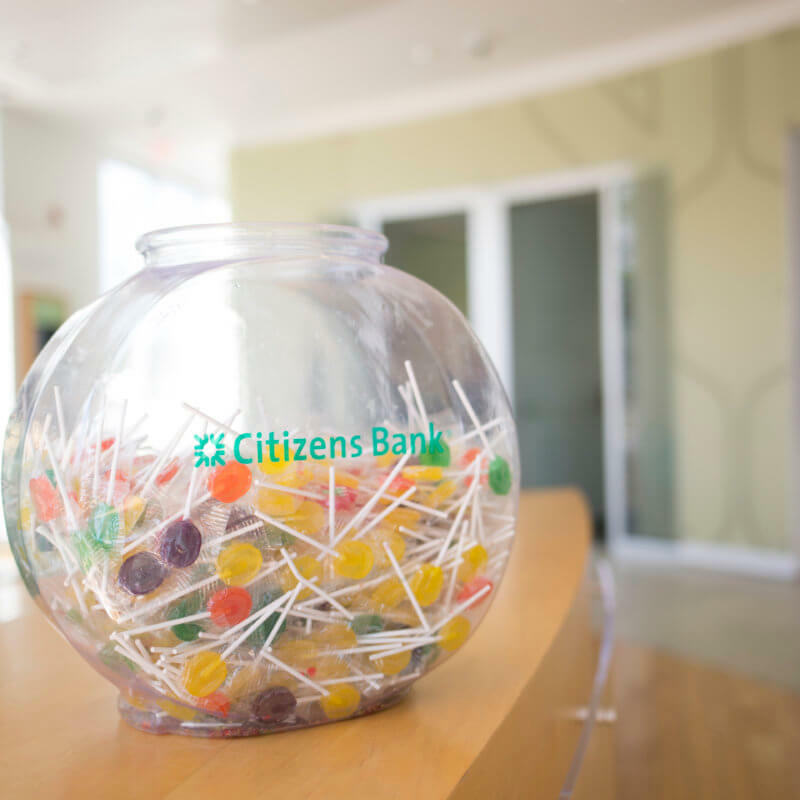 Citizens Bank offers a broad range of retail and commercial banking products and services to individuals, small businesses, middle-market companies, large corporations and institutions. We help customers reach their potential by providing them with tailored advice, ideas and solutions through an integrated experience that includes mobile1 and online banking, a 24/7 customer contact center and the convenience of 3,100 ATMs and 1,100 branches in 11 states in the New England, Mid-Atlantic and Midwest regions. Our consumer products and services include a full range of a full range of wholesale banking products and services, including lending and deposits, capital markets, treasury services, foreign exchange and interest rate products and asset finance. Citizens Bank is one of the nation’s oldest and largest financial institutions, headquartered in Providence, Rhode Island. 1Wireless carrier, text and/or data charges may apply. Equal housing lender. Citizens Bank is a brand name of Citizens Bank, N.A. and Citizens Bank of Pennsylvania. Member FDIC.